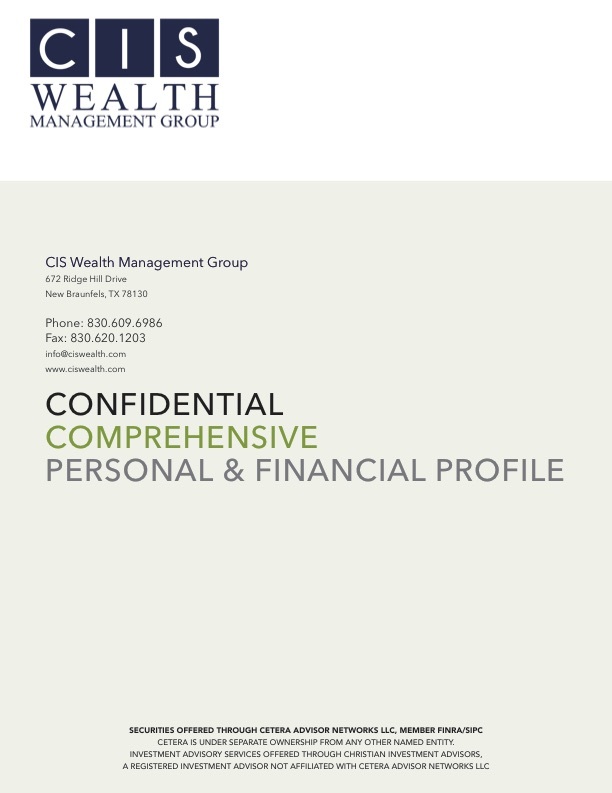 If you are interested in CIS Wealth Management Group, please fill out our Confidential Profile. You do not have to complete this form in its entirety. However, the more you fill out, the better we will be able to serve your specific needs. Once you have completed the form, you may fax it to 830-620-1203.